A 3.5-star review of “Amy,” Asif Kapadia’s documentary about the short life and tragic demise of beehived British soul singer Amy Winehouse. “Amy,” Asif Kapadia’s documentary about the short, tragic life of British retro soul singer Amy Winehouse, is a heartbreaker. 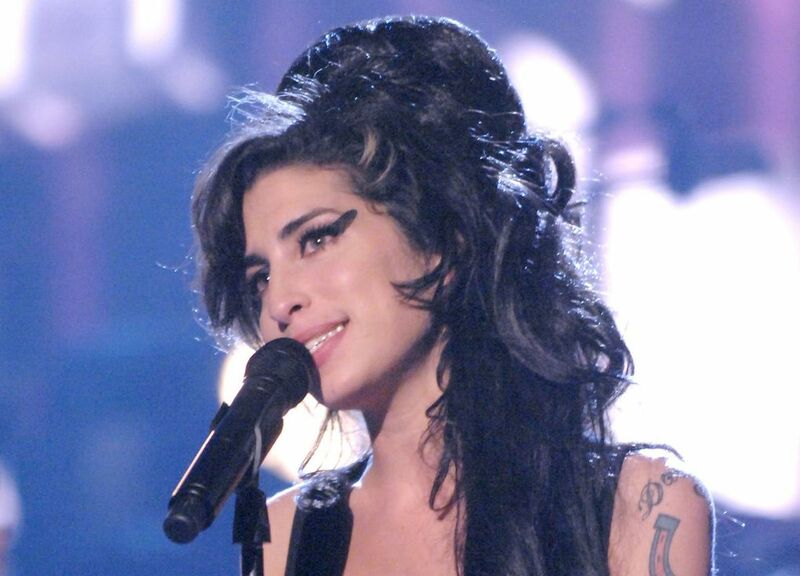 In contrast to the slurring, self-destructive drunk and/or stoned wreck we came to know before she died in 2011 at 27, “Amy,” using a mountain of rare footage, depicts a fresh, cheeky young woman full of life. That includes scenes of Winehouse as a 14-year-old girl singing “Happy Birthday” to a friend; facetiously pretending to be a Russian maid showing a Mallorca vacation apartment; auditioning for a record label on acoustic guitar; and belting out an amazing set at the 2004 North Sea Jazz Festival, long before “Back to Black” made her an international star. ‘Amy,’ a documentary by Asif Kapadia. 128 minutes. Rated R for language and drugs. Several theaters. Seeing all that vitality, knowing what will happen as the years tick by in subtitles, is difficult — but fascinating — to watch. The camera adores Winehouse in all her casual carnality, and she often seems to have a knowing wink, as if she were living outside herself. Perhaps she was. She certainly lived her life in songs, unedited, documenting each love affair and breakup, high and low. Ironically, the song she would become best known for, “Rehab,” marked her worst turn in the road — when her father, Mitch Winehouse, supported her refusal of clinical help for addiction. From there, the slope gets slippery fast, with bad boyfriends, worse drugs, onstage meltdowns and the binge drinking that eventually killed her. When Winehouse came up, the London tabloid press had started hacking celebrities’ phones and the paparazzi had turned aggressive. The film somewhat overplays their blinding camera flashes, perhaps inadvertently implying that fame was somehow to blame for Winehouse’s demise. In fact, as the film also shows, it was a variety of forces, including her own bad choices. But whatever killed her, “Amy” makes you feel it’s a shame she is gone. She had so much life. Paul de Barros: 206-464-3247 or pdebarros@seattletimes.com and on Twitter @pdebarros.